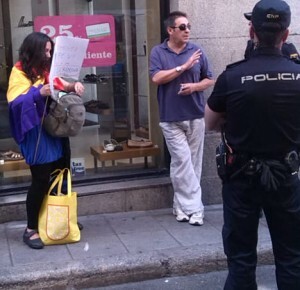 Don’t wear purple and carry a republican flag in Madrid during the inauguration of the “New King”. where a demo had been planned. republican supporters Isabel and Carlos.